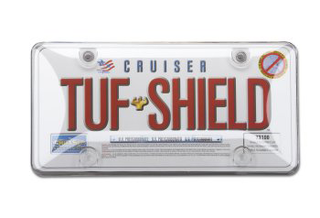 Cruise has grown to become the largest supplier of licence plate frames, novelty plate shields, and mounting hardware to the automotive market. Cruiser's product line has expanded to include motorcycle frames, designer novelty plates, and 3D decals. Cruiser Accessories continues to expand internationally in Canada, Mexico and South America, making Cruiser's market share larger than all of their competitors combined.